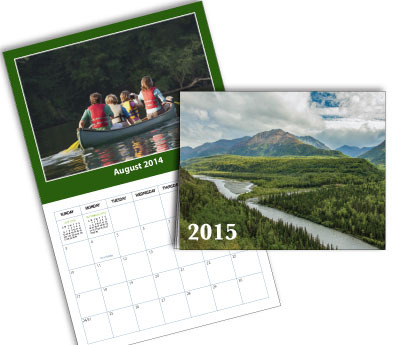 Calendars are a great way to remind your customers, friends or family about you all year long! Standard size is 8.5” x 11” and are available with gloss card stock cover, 24 pages printed on gloss paper, saddle stitched and drilled. Supply your images or choose from our themes. We also offer branded desk calendars that are a great marketing tool to hand out to customers or potential clients.